Get ready for #WorldPhotoDay on the 19th August with some of the best views in the UK! To help you get the best snap, why not try one of these walking routes – we’ve chosen our round-up of the best UK walks with views that certainly won’t disappoint. Plus share your best photo from one of your ViewRanger adventures for a chance to win over £100 worth of outdoor gear! Find out more here. Capture history and beauty all in one shot. 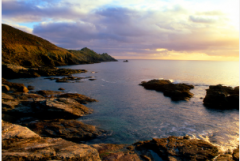 This route takes you along the coast of Cornwall where smugglers and pirates once used to venture. With plenty of choice for a great photo including pretty beaches, impressive cliffs and blue waters, this area is one of the most popular for photography, and it also offers a stunning sunset shot. 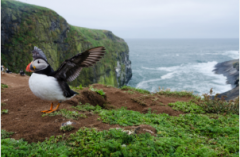 One of the best places to photograph wildlife in the UK, here you can capture a shot of Atlantic puffins and their families. You can jump on a boat run by the wonderful National Trust from Easter to September and take this circular route around the whole island, meaning you’re almost guaranteed to catch a glimpse of these stunning creatures. A picture hotspot! With your first photo stop looking towards Lulworth you’ll see stunning rocks incorporating limestone and chalk. Further along there’s a chance to see some wildlife and photograph local rabbits in their burrows. 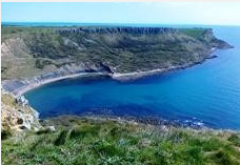 You then head towards the blue waters of Chapman’s pool with surrounding cliffs – a great one to capture and save. 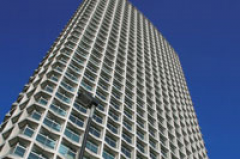 You can’t overlook the endless landmarks and photo opportunities in the London city, so take this route around the best 20th Century buildings and architecture to get an artistic shot for world photo day. Although a challenging climb, this route is more than worth it for the photos you’ll get. Explore the highest hills for the most picturesque landscapes and you’ll find the perfect place to set up your tripod. 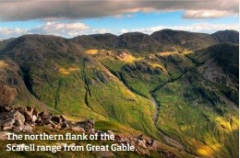 Finally, it would be rude to not include a route by top adventure photographer himself, James Grant. 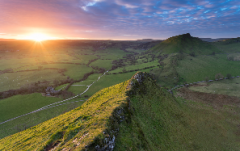 With this classic Peak District route the images at the end of the day are still breath-taking, especially if you follow ‘The Dragon’s Back’ on Chrome Hill! With lots to see in a short walk, you really can capture the beauty of the Peak Districts shapes.